The 'Communities of Pr actice for Teacher Educators' workshop was conducted at the Bangalore Urban DIET (District Institute of Education and Training), Bangalore from 3rd June to 7th June, for CTE (College of Teacher Education) and DIET faculty from the Bangalore and Mysore divisions. In his inaugural address, Sri H.S. Ramarao, Director DSERT (Department of State Education Research and Training) spoke about the revisions to curriculum, syllabus and text books how the new curricula made higher demands of teachers, in terms of a constructivist approach to transaction and a CCE approach to assessment. Teachers require a resource rich environment to be able to prepare themselves and meet diverse learner contexts and needs. Since the print material provision would not be adequate for the increased demands, it became necessary for teachers and teacher educators to tap the digital learning resources available as well as use ICTs for connecting to one another for continuous peer learning and support. He felt that the workshop would build the capacities of teacher educators for collaborative creation of such resources through the Karnataka Open Educational Resources (KOER) as well as for networking to build communities of learning. CEMCA Director, Dr. Sanjaya Mishra spoke about the Community of Learning as an important method for connecting teachers to one another for peer support and mentoring. He also emphasised the role of OER in creating a high quality resource rich learning environment for teachers and students. Over a period of five days the 23 CTE and DIET faculty members covered various web tools; free educational software tools and components of basic com puter literacy. They were introduced to the COP platform for teacher educators and its features including access to resources, mailing groups etc. Educational tools such as Geogebra, Audacity, PhET and Record My Desktop were demonstrated. Participants practised accessing the Internet for information and their own learning as well as to connect and communicate with each other. The participants were encouraged to work on their subjects of expertise and create model lessons and learning resources. The resources related to the topics covered in the text books revised this academic year, pertaining to classes VI and IX. 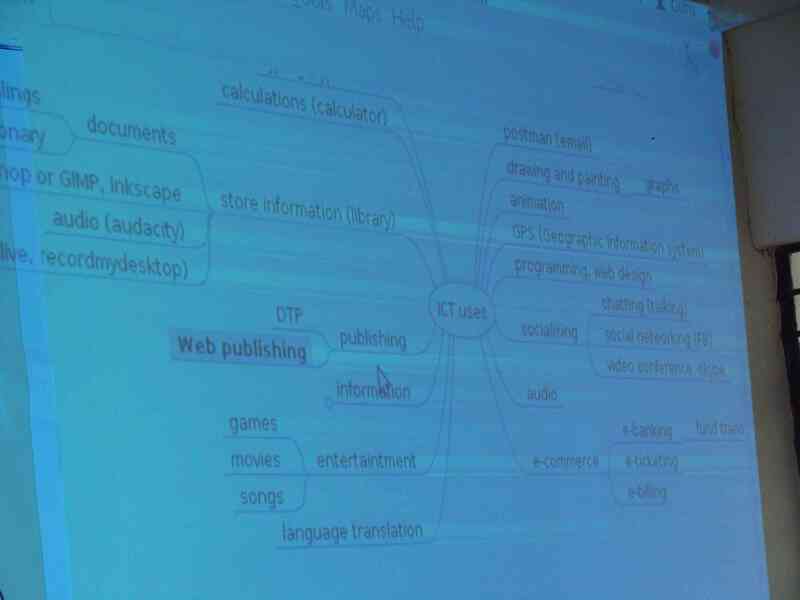 They incorporated various other digital resources as video links, images and mind maps (Free Mind) in their lessons. Resources created by faculty were reviewed through peer discussions and through discussions on the email group. Teachers were also introduced to Wiki and the idea of collaborative resource creation. This community of faculty will continue to interact through emails and through the wiki platform to create materials for inservice and pre-service teacher education. The basic need / priority to provide resource support to teachers in classes VI and IX support them in transaction and assessment is expected to provide a strong raison-de-etre for the community of teacher educators to form and grow.